The New Albany Classic Invitational Grand Prix & Family Day (The Classic) is celebrating the big 2-0 (just like someone else we know)! Founded by Columbus’ own Abigail Wexner in 1998, the Classic is the marquee equestrian family event in Central Ohio. We’re here to give you the inside scoop on why you should celebrate The Classic’s 20-Year Anniversary at the Wexner Home in New Albany on Sept. 24. No day at The Classic is complete without all of the family-friendly activities and events throughout the day! There truly is something for all ages at The Classic, including but limited to a petting zoo, face painting, and sporting activities. . And attention music lovers--get excited about attending this year’s amazing Concert at the Classic! The headliner is superstar Nick Jonas, who will perform immediately after the Grand Prix at 3:30 p.m. Fun fact: The Jonas Brothers were the first headliners of Concert at the Classic 10 years ago! Each year approximately 30 of the world’s leading riders compete at the Grand Prix, the show jumping competition that headlines The Classic. Riders have the chance to win $125,000 in prize money and add their name to the Authentic Cup, named in honor of Abigail Wexner’s horse Authentic, the most successful equine athlete in Olympic history. 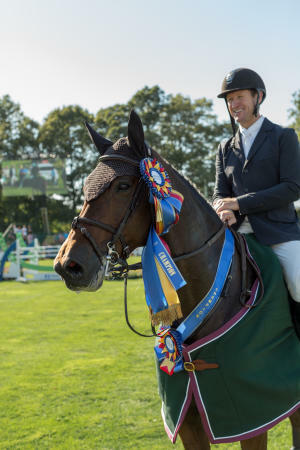 Many of the best riders and horses in the world, including former Olympians, compete in the Grand Prix annually. This year’s field is extra-special—it features the No.1, No. 2 and No. 3 riders in the world, promising that it will be a thrilling event with athletes at the very top of their game. 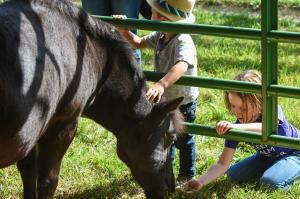 The Classic is about more than family fun and world-class equestrians, however. It supports one incredible cause in The Center for Family Safety and Healing, whose mission is to break the cycle of family violence including child abuse and neglect, teen dating abuse, domestic violence and elder abuse. The Classic has contributed an extraordinary $30 million to The Center for Family Safety and Healing over the past 20 years of the event. Even if you don’t attend The Classic, there are still many ways to support victims of family violence. You can donate, volunteer and advocate to help the center. Click here to learn more. As you can see, The New Albany Classic Grand Prix Invitational & Family Day is an event you won’t want to miss. Whether you’re an equestrian enthusiast, a diehard Nick Jonas fan or just looking to have a great day with your entire family, there’s something for everyone. We’ll see you on Sept. 24!